Another year has quickly come and gone-a year of personal bests and distances, and another year of successes and failures. 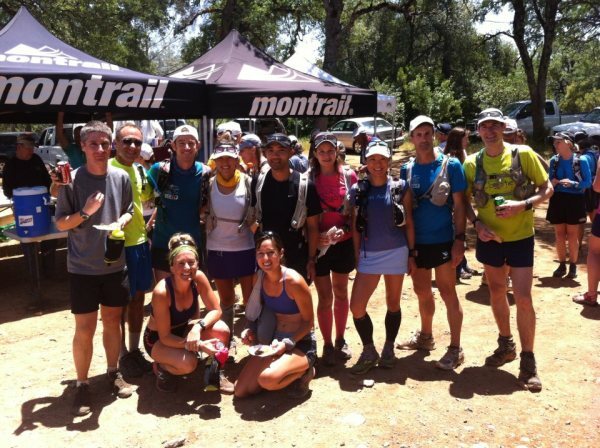 2012 was full of trails, new races, new locations, new friends, new relationships and new challenges. 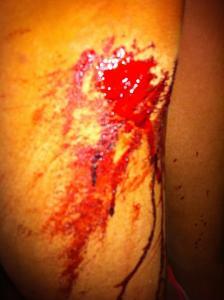 More than anything, 2012 was a year of learning and growing, as a stronger runner and as a better person. So here are my highlights from the year. Looking forward to see what 2013 brings. 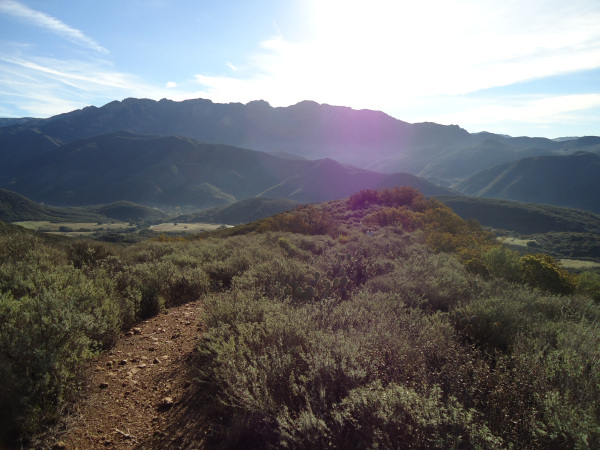 I kicked off the New Year with the XTERRA Boney Mountain 21K. Great course and fun times with friends. I didn’t want to overdo it since I had Avalon 50 six days after, which probably wasn’t the smartest idea. It was also my first week ever hitting over 90 miles and after a disappointing race at Avalon, I vowed to never run that much again in a week. 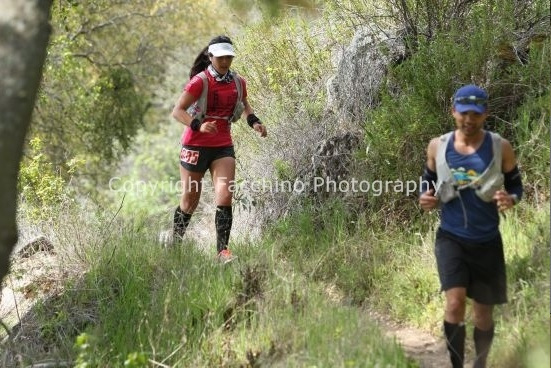 Avalon was supposed to be a PR race for me with a lower elevation gain, similar to Mt Hood the year before, but I had a nagging groin pain the entire race which almost made me drop out of the race entirely. I stuck with it (thanks to Meg), but didn’t finish in a time I was hoping for. 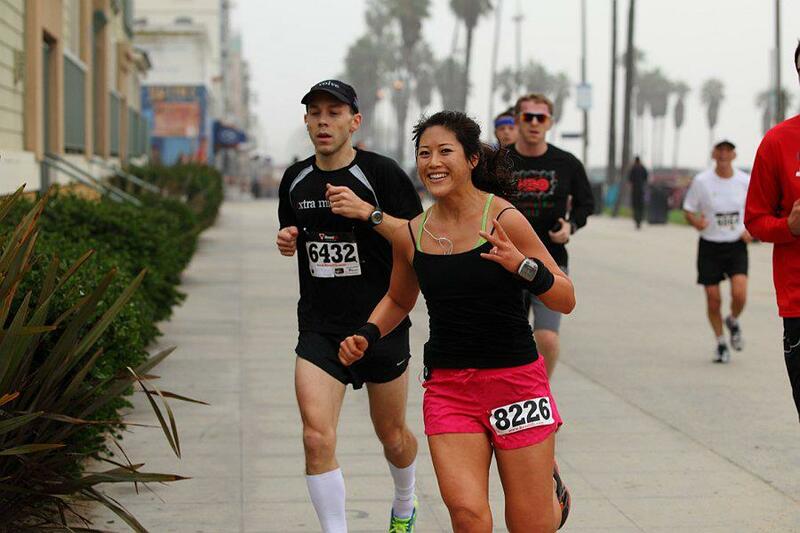 I must’ve been feeling pretty lucky with the coming of the Chinese New Year that I signed up for a 100 mile race. Either that, or I was drunk after sipping whiskey “tea” over our New Years dinner and signed up clearly not in a sober state of mind. 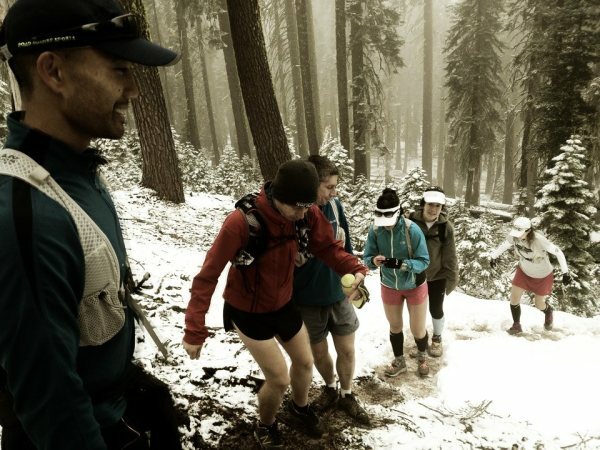 We watched “Unbreakable”, a documentary following a few elite ultrarunners on their journey along the Western States 100 course. Somehow I won a free entry into the Ray Miller 50K, which so happened to be 1 day BEFORE another 50K I had already signed up for. So I ran back to back 50Ks over one weekend, nbd. Don’t let the names fool you, they both started at the exact same place, different course, but similar trails. 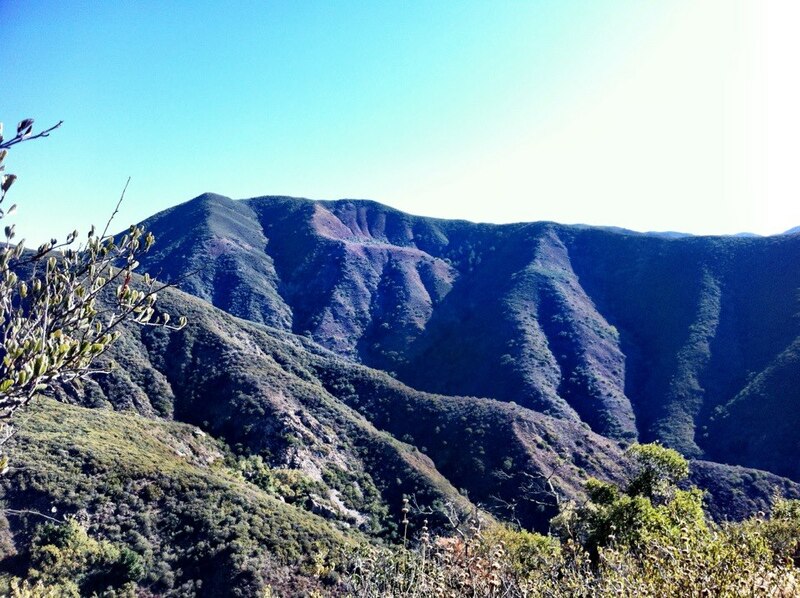 64 miles + 12,000 ft of elevation gain with this amazing view. Yeah, I’ll do it again in a heartbeat…maybe. 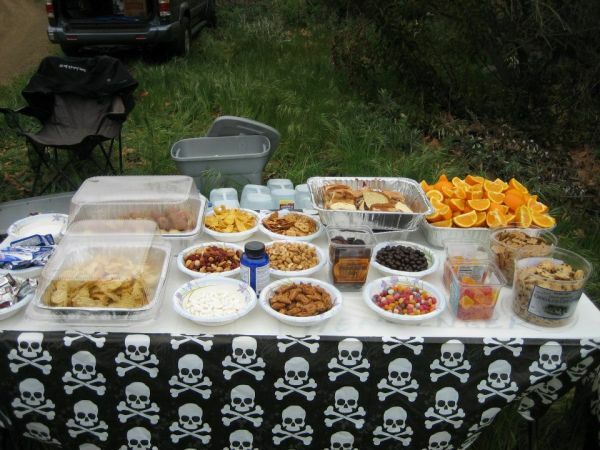 Trivia: Which ultrarunner headed this aid station? Quite possibly the most organized and cleanest aid station I have ever encountered. 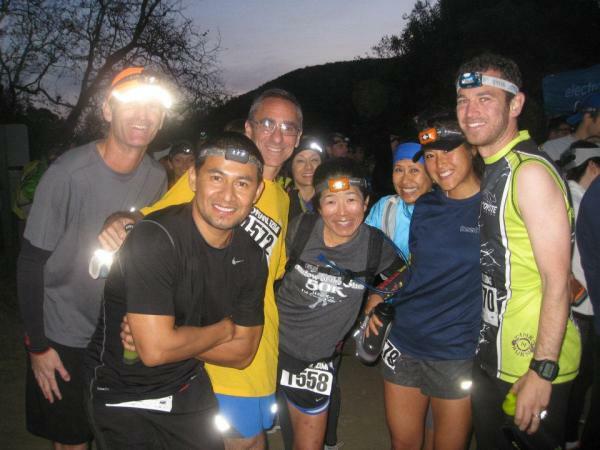 My big training weekend was during the Malibu Night Half Marathon. I had a crazy idea to run 26 miles in the morning, so I ran solo from my place down the beach path to PV (roughly 13 miles), joined up with some friends to run the PV loop (another 13 miles). Thank God someone gave me a ride home, I didn’t need to run 39 miles right before a night half marathon. 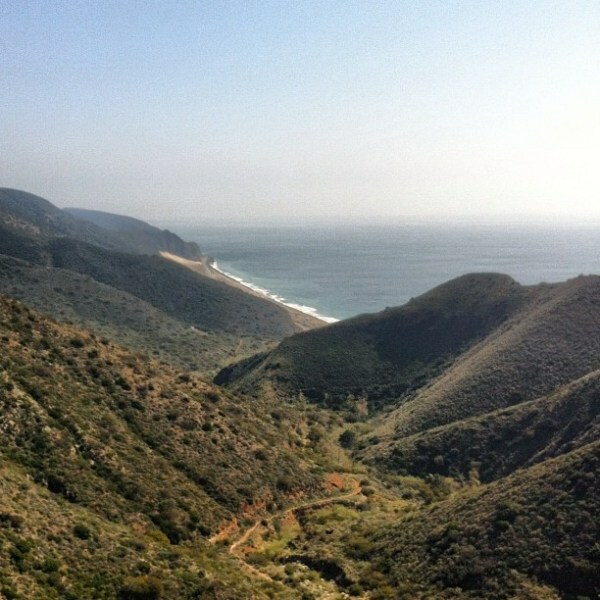 Quickly went home to shower (what was the point), just to hop back in the car and drive to Malibu for a trail half marathon. Had an awesome time during the race, nothing better than running on technical single track with your headlamp guiding the way. This also happened sometime during the race, I just don’t know when. Didn’t even realize I was bleeding until someone screamed and pointed at my jamon looking leg after I crossed the finish line. 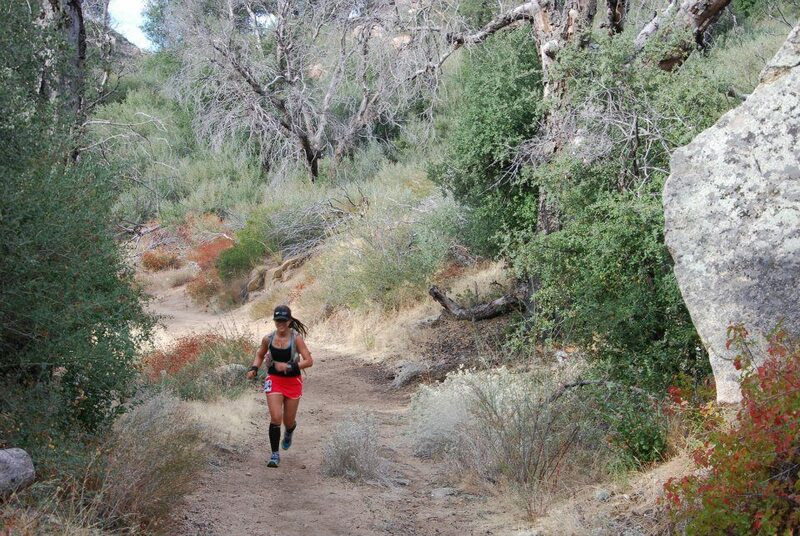 Since I was training for Zion, I had another fabulous idea to run three races in the month of April. 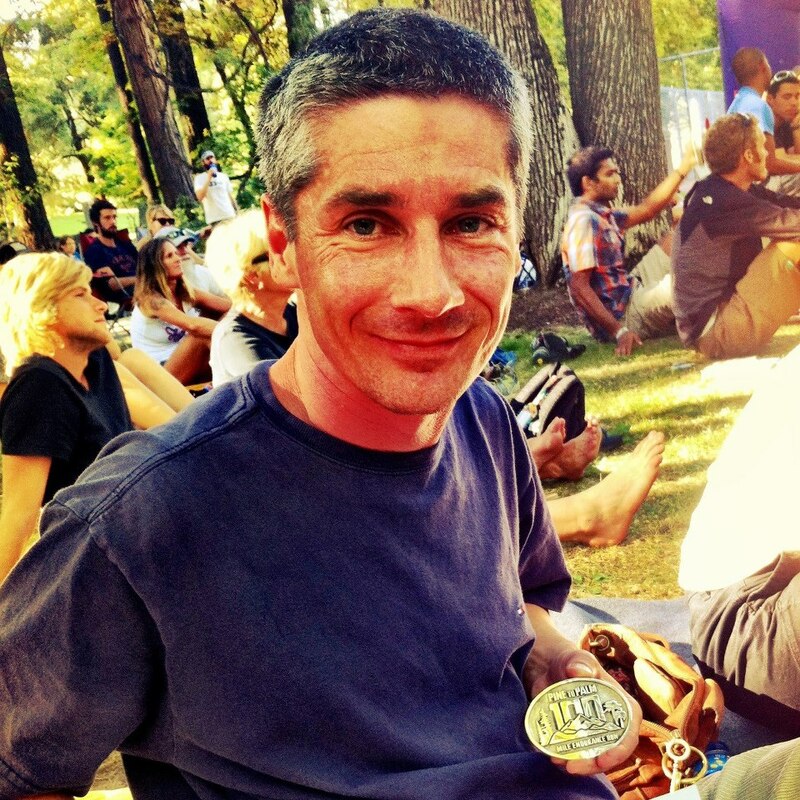 One 50 Miler, one ultra relay covering 200 miles and one road marathon. I think we were eating ramen for the entire month of April to make up for all these travel expenses (sorry B). 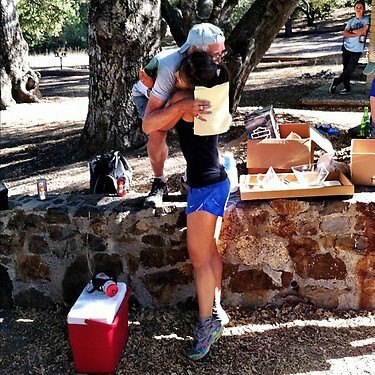 I really wanted to PR at American River, known to be one of the faster 50 milers because of the half road half trail element. Not only did I PR, but I came in sub 9 hours and took 3rd in my age group. Thanks to my twitter friend Derrick, I was able to hit that goal while having a great time doing it (minus the part where I cussed him out for not carrying a salt stick on him when I needed it the most). 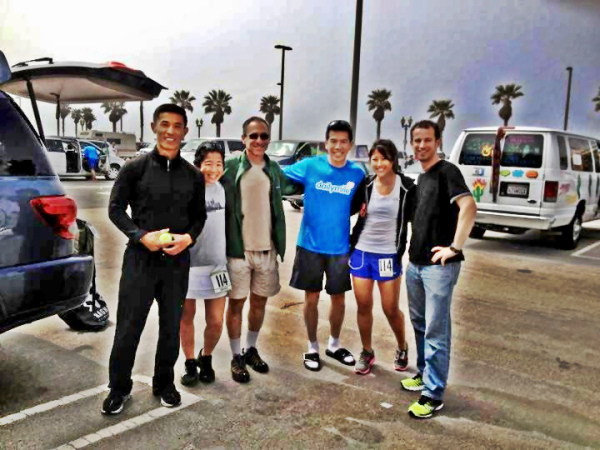 Ragnar SoCal Ultra was something I had wanted to do for a while, so I got 5 other crazy runners to sign up with me (this part wasn’t too hard). The 6 of us were the Badass Honeybadgers. 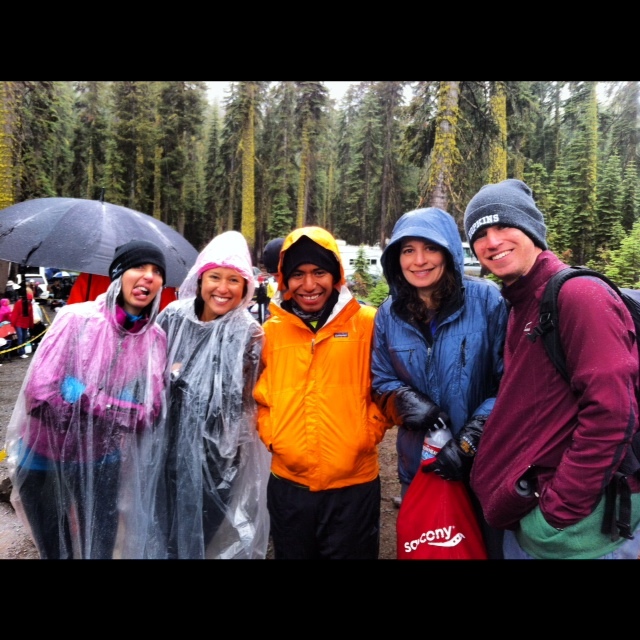 It was such an amazing experience running the entire 200 mile route with just the 6 of us. Unlike the usual 12, we had less time to rest/recover, less time to eat in between and less time to sleep. 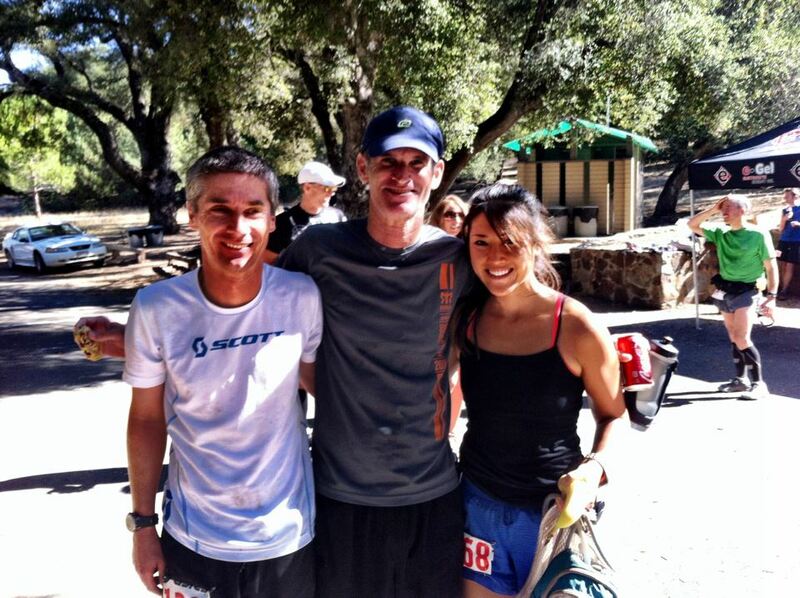 Before I knew it, it was over in 28 hours and with a 3rd place finish in our ultra mixed division. 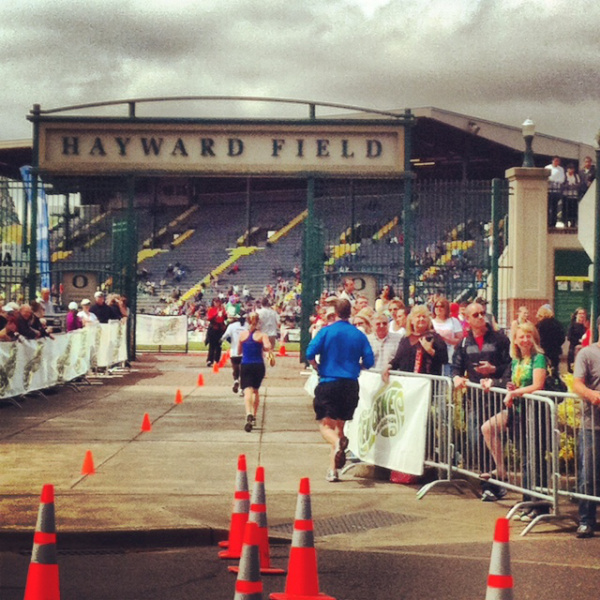 To end the crazy month, I flew to Eugene for my one and only road marathon for the year. In the 28 hours I was in Eugene, my in laws and I went to 5 different restaurants. Food>marathon. I came close to my PR from the year before at Santa Barbara, a couple seconds off, but had a blast on the course with my in-laws running around spectating from various points along the way. Hands down, my favorite road marathon. Eugene is practically my second home and ending on Hayward Field where the Olympic Trails are held was pretty neat. I can’t wait to do it again sometime. 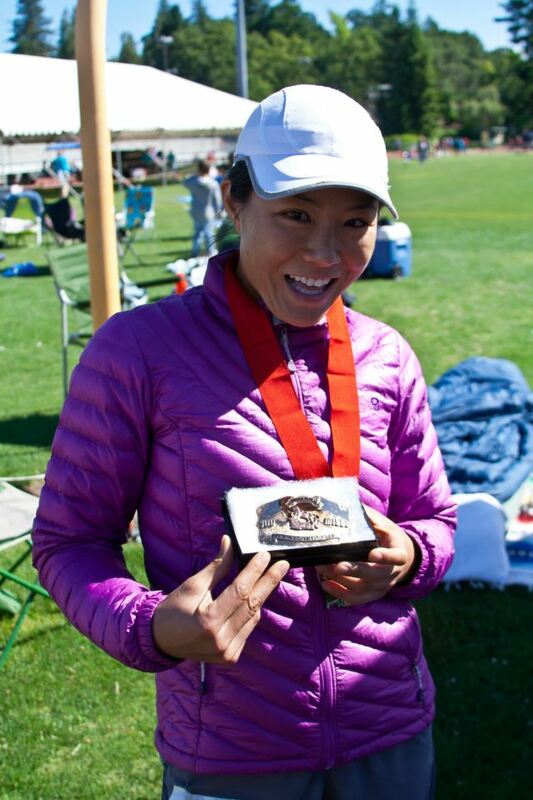 2012 was shaping up to be a great year with a 50 mile PR, conquering new challenges and sticking by a solid training plan for Zion. I pushed myself to run more and more everyday. More trails, more road, more everything. I ran in the sauna twice a week. All in preparation for Zion. I talked to friends, mentors, coaches, anyone who would listen to my ramblings. Little did I know that Zion would be one of the greatest learning experience and everything I thought would happen, didn’t. Today is a crossroad where everything you want will collide with everything standing in your way. To keep this post from getting any longer, you can read about the dramatic two part post here and here. I will say, I don’t regret signing up for it, a lot of good came out of it too-a much needed break physically and mentally, finding my beloved Pilates Platinum and chiropractor and a restored energy for the trails. After sulking around and not doing much after Zion, I went on a trip up north to Western States camp. 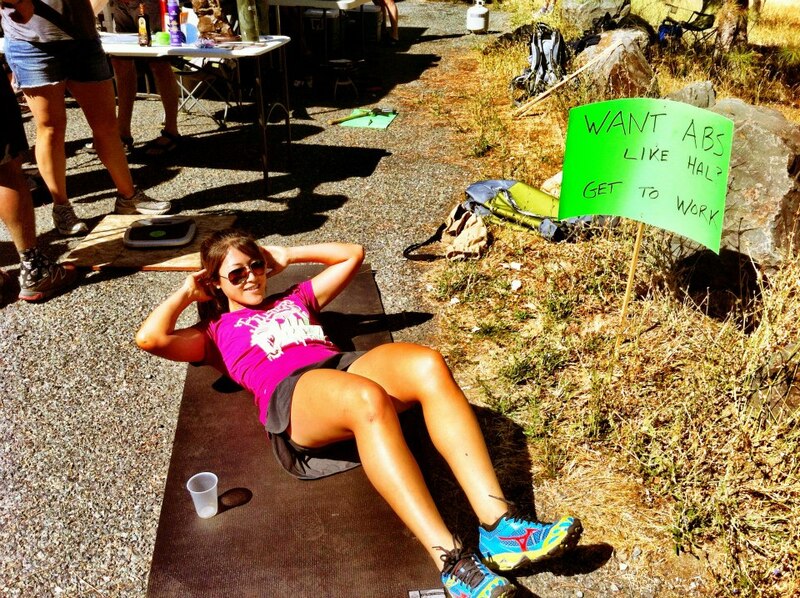 It is like summer camp but for runners! We were there to familiarize ourselves with the last 70 miles of the Western states 100 course with Helen who was actually running the race. 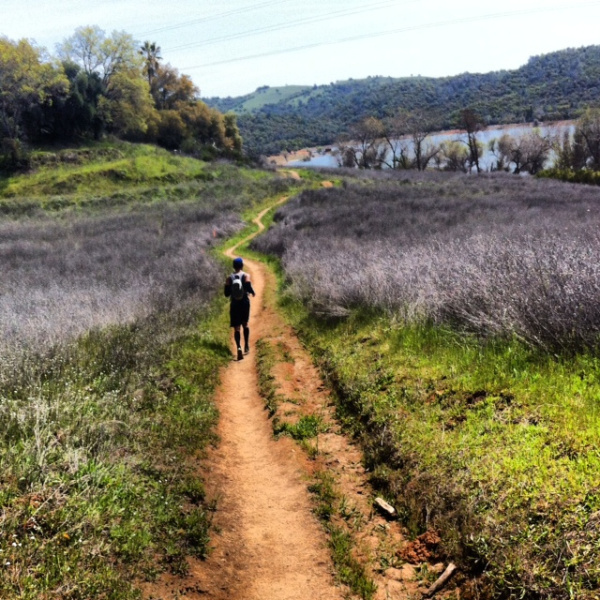 We ran through snow, mud, gorgeous single track trails, over logs and across rivers and bridges. 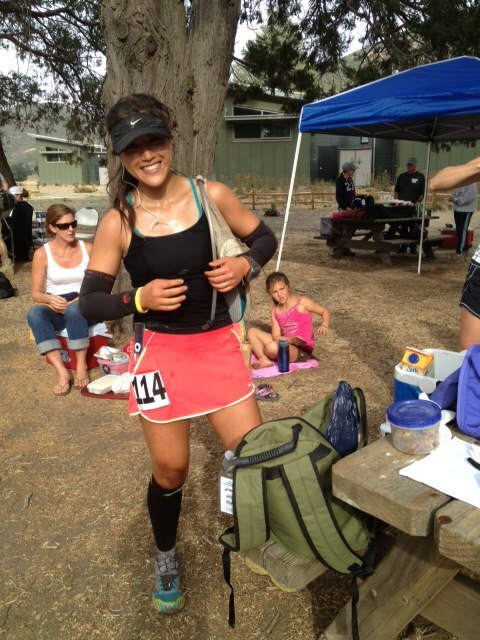 June was the coveted Western States 100 Mile run for our friend Helen who had been training so hard for this race. It was a fun weekend of crewing Helen throughout the race and being able to run Miles 60-80 with her, even across the freezing Rucky Chucky river after midnight. I spent the majority of the weekend with Erin and Jack, her other two crew members, as we navigated our way through the course, supporting her in whichever way she needed. 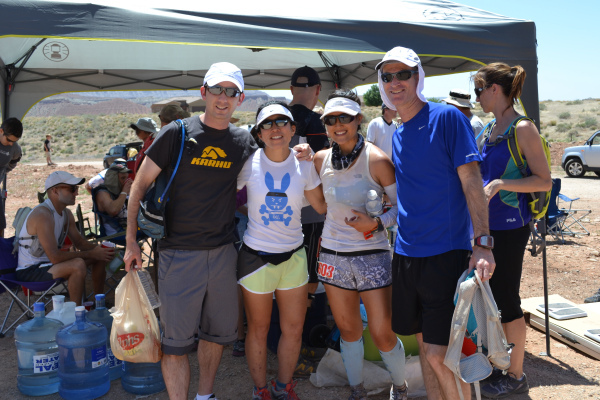 Along the way, we hung out with other friends and crew members, snacked our way through endless bags of junk food, and slept in the car all while trying to keep track of where Helen was throughout the race. Helen finished in an amazing time, with a finishing kick at the end around the track and a 100 mile PR to boost! Finally a month of no races! Instead, I discovered Pilates Platinum, which simply put, has changed my life in every way possible. I leave each class shaking from the intensity of the workout, but always craving more. On the reformer, we learn how to push past the mental fatigue and work our muscles to complete failure. Now, 6 months later, I can confidently say Pilates has changed everything about my running and has kept me feeling healthy and injury-free. In 10 sessions you’ll feel the difference, in 20 sessions you’ll see the difference, and in 30 sessions you’ll have a whole new body. This was our second time applying for the Hood 2 Coast 200 mile Relay in Portland and luckily for us, we got in this year. I gathered 11 other running friends and we were off running from Mt Hood in Oregon all the way down to Seaside (200 miles). 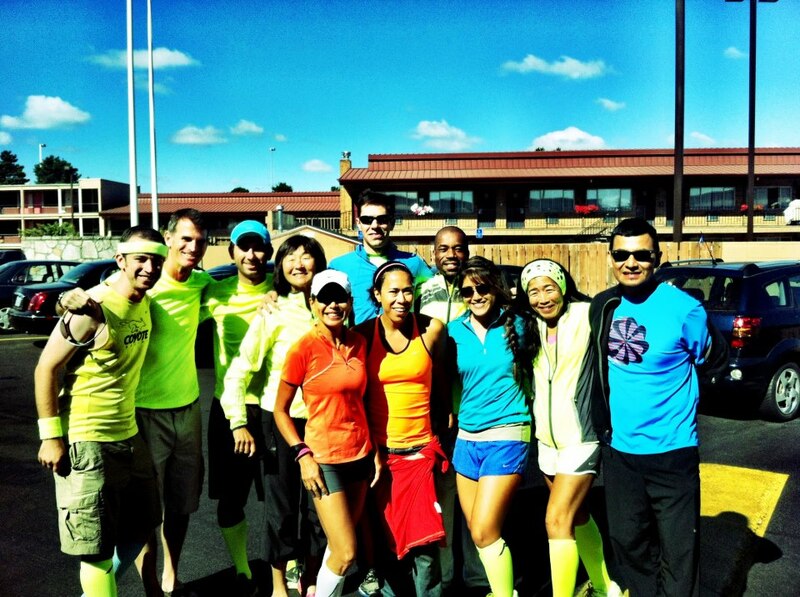 We were Team 36 Legs and 24 Shoes aka Team Compression Socks aka Team Neon. We finished in 26:22:26, 16/362 Mixed Opens, 110/1070 Overall, not too shabby for the biggest relay (with also the biggest traffic jam)! How did I get so lucky this year to crew/pace 2 amazing friends? I jumped at the chance when Thomas asked me to crew/pace him for his first hundo at Pine 2 Palm in Ashland, Oregon. I had secretly wanted to run this race, and I probably would’ve signed up if I had completed Zion, so getting the chance to run a part of the course without having to actually run the entire damn thing was very appealing. I crewed day and night with Del and hopped in at Mile 65 to run with Thomas until the end. Watching him push really hard the last 10 miles was very inspiring to finish in 26 hours for his first hundred! It (almost) makes me want to sign up this year, tba. 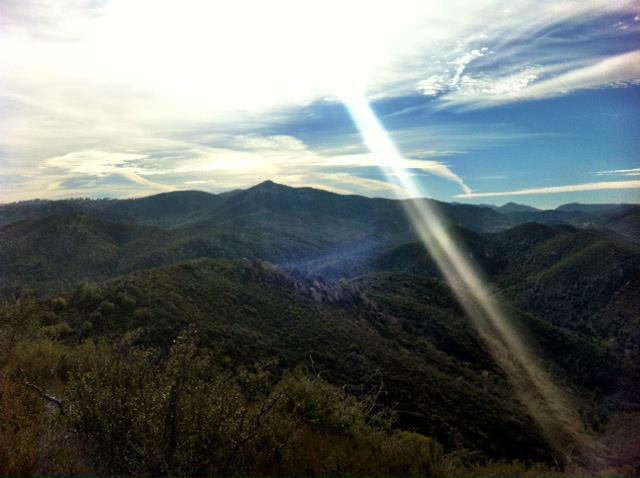 I completed Cuyamaca 100K in San Diego, my longest run to date. 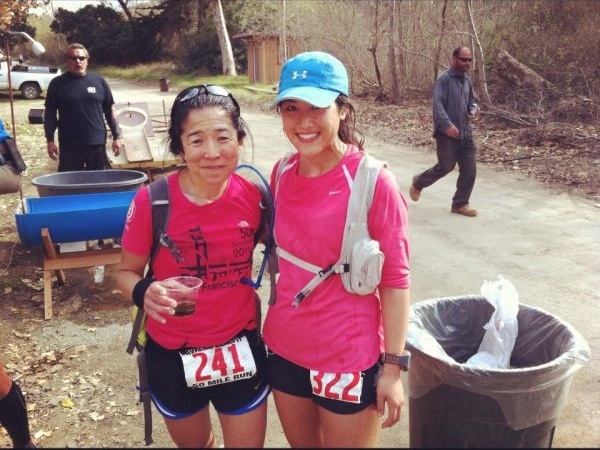 At first, I was hesitant going into this race, thinking my training wasn’t enough for this kind of mileage. Surprisingly, I did okay with a lower mileage leading up to this race. I loved this new training cycle with less miles, more strength. Pilates for the win! The course was very scenic and I had a blast cruising during the first 30 mile loop, wanted to shoot myself the 2nd loop and somewhat regained my energy for the third loop. I’ll be back this year to redeem myself! Over Halloween weekend, B and I went to Vegas for a friends get together. 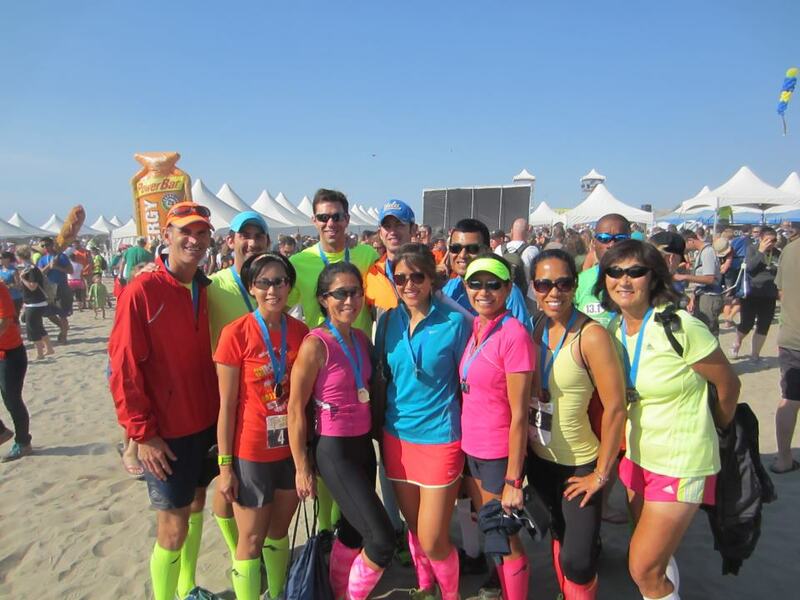 There so happened to be a half marathon that weekend (what a coincidence!). 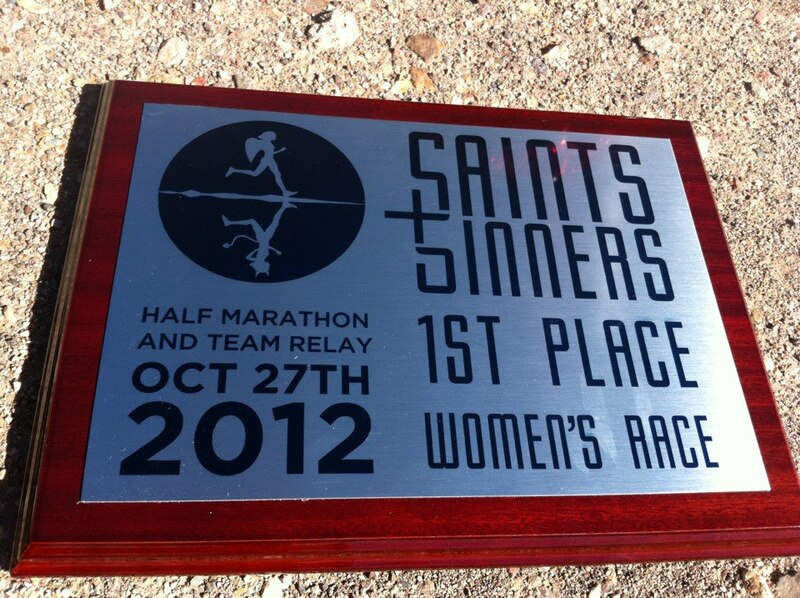 The Saints and Sinners Half Marathon course ran along Lake Mead, on some railroad trails and was toted for being a very fast course. Somehow I ended up placing first female with a big half PR of 1:31. It was so exhilarating to lead the women’s race after Mile 6, to say I got a little competitive is an understatement. 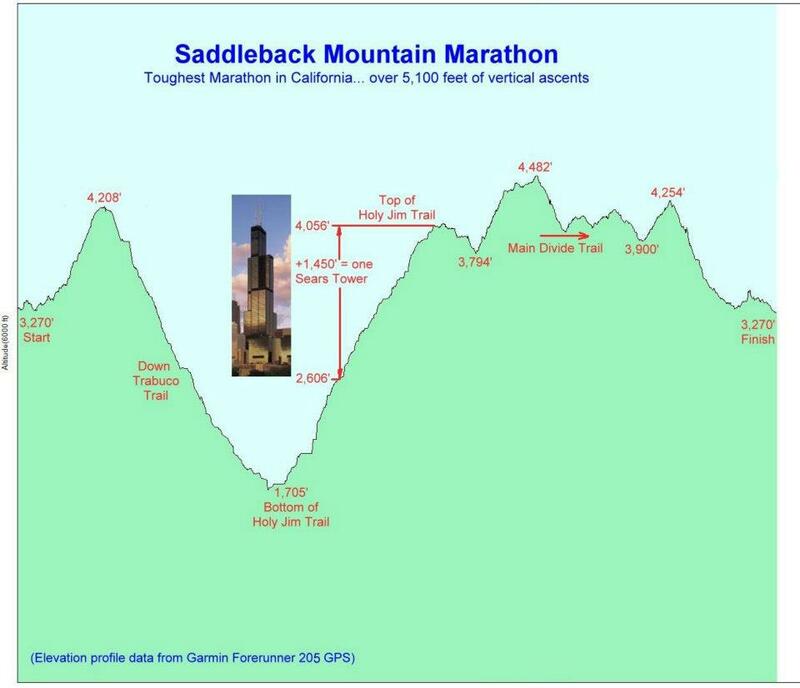 The week after Vegas, I ran the Saddleback Mountain Trail marathon with Thomas and Matt. 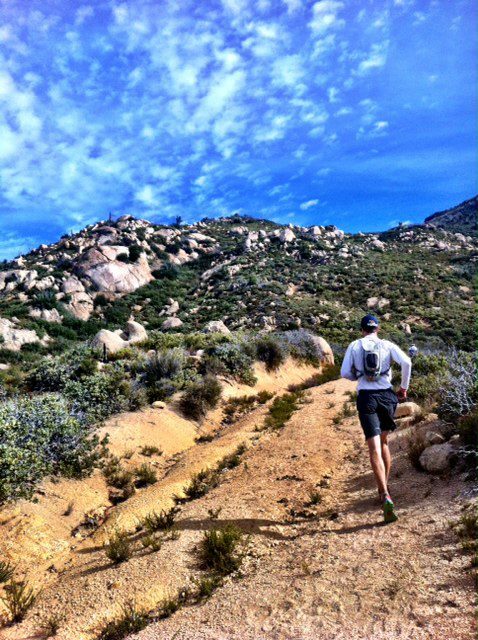 The race boasted for being the toughest trail marathon because of it’s massive climbs and elevation gain. I figured I would take it easy and enjoy the course, but running slow is not an option when hanging with these boys. Ended with a 2nd place female finish and had a great day out there enjoying some new trails. After spending Thanksgiving weekend in Oregon, I came down with a bad cold but managed to get it together for my last race of the year at Ridgecrest 50K, which ended up to be one big fail. Even though I was still sick and haven’t run more than 3 miles the week before, I figured I would at least finish the race while saying goodbye to an end of the year PR. I ended up dropping at Mile 14 thinking it was for the best to not run any further until I got better. Disappointed to end the year on a bad note, I was compelled and under a lot of peer pressure to sign up for the Venice Christmas 10K. Not having run a 10K in years and not used to these shorter fast distances, I had a hard time trying to figure out my goal finishing time. Did I need to pace myself? Eat a GU? How much water should I drink? Race day, I just let my legs go and ran as fast as I could. I wasn’t too surprised that I ended up with a PR because my last 10K was when I first started to run 4 years ago. Either way, it was great to end the year with a shiny new PR. Looking forward to more 2013 shenanigans.